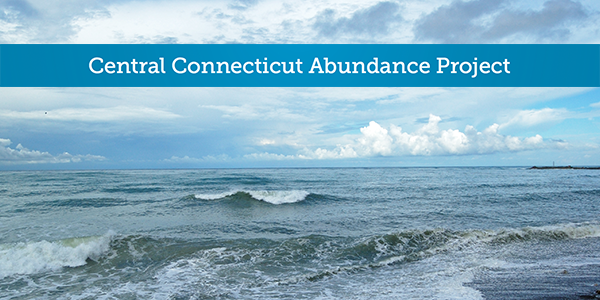 Do you use Abundance thinking to bring success to your business? Here’s a little reminder about the new group that is starting this coming Friday at 9:30am, here in Bristol. ** Not familiar with Meetup? It’s worth signing up for a free account and joining my group, even if you don’t plan to attend. Meetup is the only online social media tool with the sole purpose of bringing groups together face-to-face, and my business has expanded greatly by being there, thanks to some awesome folks who have started very effective business network groups. Happy Christmas and an Abundant 2014! As 2013 draws to a close, I once again would like to thank all of you, my friends and colleagues, for making 2013 so remarkable. My best wishes to you and yours for a fabulous Christmas week and an amazing 2014! May your days be merry and bright. Are you looking for the vehicle to break through the roadblocks and detours that have sidetracked you on life’s highway? Need a little motivation to achieve your own personal and business goals? The new book, One Door Closes: Overcoming Adversity by Following Your Dreams, by my clients at The MotivAct Group (Tom Ingrassia and Jared Chrudimsky), captures the inspirational, highly emotional stories of 16 individuals from all walks of life who have triumphed over seemingly insurmountable odds to achieve their goals. Through first-person accounts, these courageous survivors describe their personal approaches to living their lives with vision, courage, determination and passion. They share the wisdom they learned along the way – often the hard way – wisdom you can use on your own journey. Many are sharing their stories publicly for the first time. Incorporating holistic self-assessment tools and self-motivational techniques, One Door Closes will guide you to design your own personal blueprint for success. Highly recommended! 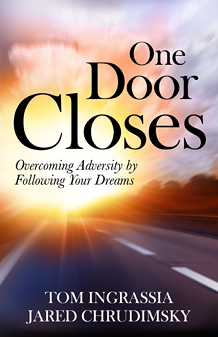 One Door Closes is available at Amazon.com. Maybe I overthink things, but I have found that how I spend the first couple of hours of the day is critical to the success of the day ahead. How do you do start out? When I first opened this business in 2006, I woke up so excited and frightened that it was “right to the email!”… Later on, as this business grew, I discovered that it was more important to get my head in the game first, so that I could approach the many requests from my clients happily, and with genuine enthusiasm to be helpful (which is what I actually love most about this job!). So, for those of you in a similar pattern, I suggest making a plan. Awake with gratitude. First thing when my feet hit the floor, I say a quiet “thank you” for my family, my business, all of the many good things that life has brought to me. Gratitude is a powerful way to keep your mind on what’s important, so that all of the little things of the day feed your inner self. Read something good for your soul. After I get into that cup of coffee, I spend some time reading something spiritual or uplifting. Sometimes it is just a few pages or a chapter, but soul-feeding words bring a smile to my face and the right attitude for the day ahead. I’m a person of faith, so many of the books I find inspiration are of that ilk, but there are many others. A few examples: The Bible, The Power of Now (Tolle), The Secret (Byrne), Pray and Grow Rich (Ponder), The Four Agreements (Ruiz), With Open Hands (Nouwen). Follow the reading with a 5-minute quiet meditation, and you’ll feel very relaxed and ready to take on just about anything. Exercise. This is a tough one for many of us, because it involves habit change. If you can stick to some kind of regimen daily, though, after a month or so you’ll really miss it if you don’t do it! I run between 1 and 3 miles almost daily now, but that started with walking twice a week, walking daily, running that first mile (huffing and puffing! ), and eventually working my way to a new routine. Listening to podcasts while I run inspires the day ahead. Here are a couple of great business podcasts that I have at the ready: This Is Your Life (Hyatt), Morning Coach (Glossinger), Entrepreneur on Fire (Godin). Now, you’re ready! Go into the day feeling good about yourself, grateful about your life, and ready to be high-minded and open-minded… the makings of an awesome business person. Please take a moment to share how you start your day.